Cathay Pacific’s maiden flight to Tel Aviv at Ben Gurion Airport this morning. Cathay Pacific today operated its inaugural service from Hong Kong to Tel Aviv – the latest destination in the airline’s expanding global network. Flight CX675, a non-stop service flown by the advanced Airbus A350 aircraft, departed Hong Kong at 01:00, touching down at Ben Gurion Airport on schedule at 07:53 local time. A special departure ceremony for Flight CX676, the return journey to Hong Kong, took place later in the day. 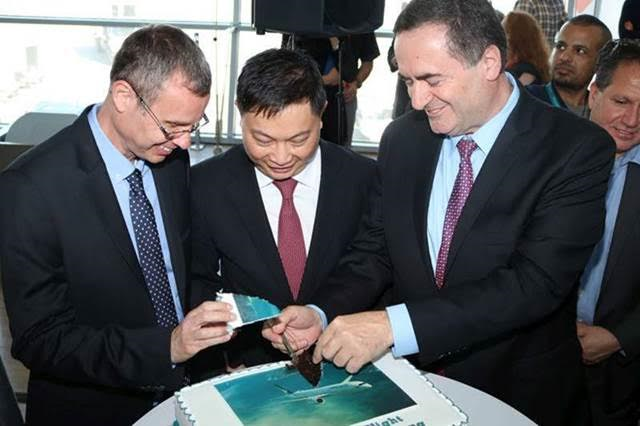 Hosted by Cathay Pacific Director Corporate Development and IT Paul Loo, the airline was honoured to welcome Mr Israel Katz, Transport Minister and Mr Yariv Levin, Tourism Minister from the government of Israel as officiating guests at the celebration event. Mr Sagi Karni, Consul General of the State of Israel in Hong Kong also flew in on the first flight from Hong Kong to Tel Aviv to join the celebration. Tourism Minister (left) and Mr Israel Katz, Transport Minister (right) from the government of Israel at a gate ceremony celebrating the launch of the airline's new Tel Aviv service. Originally launched as a four-times-weekly service, Mr Loo said the strength of advance bookings on the route has prompted Cathay Pacific to increase frequency to five times per week from 1 September to 17 November 2017. “We have been highly encouraged by the overwhelming reception that our new Tel Aviv service has received. Increasing the frequency of our operations to five times a week will provide greater convenience to business and leisure customers travelling between these two great cities – and give passengers from Israel easier access to destinations in Southwest Pacific and across Asia through our hub in Hong Kong,” said Mr Loo. Cathay Pacific, which operates one of the youngest long-haul fleets in the world, believes that travelling well is an important part of living well, and passengers can be assured of a premium experience onboard the A350. The environmentally-friendly aircraft is equipped with the airline's latest cabin products, an enhanced inflight entertainment system and Wi-Fi connectivity in Business, Premium Economy and Economy classes. The airline has taken delivery of 12 Airbus A350 aircraft to date with 10 more to arrive by the end of 2017, which will help Cathay Pacific open up new markets and strengthen Hong Kong’s position as Asia’s premier aviation hub. The airline recently announced new A350-operated seasonal services to Barcelona from July and Christchurch from December. 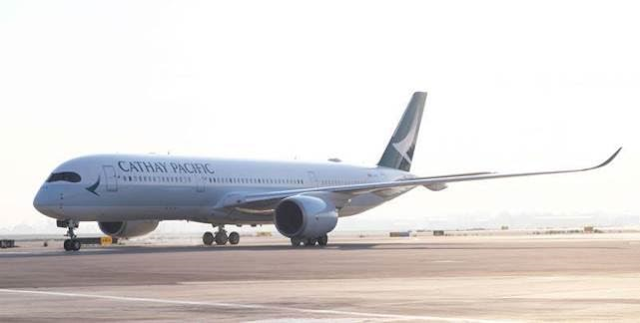 Cathay Pacific will also add extra flights on popular routes to destinations across North America, Europe and Southwest Pacific to give its customers more choice and flexibility when planning their travels.